Boston Neighborhood Network is located near the geographic center of Boston at the crossroads of the Dorchester, Jamaica Plain and Roxbury neighborhoods. The BNN Charles J. Beard II Media Center is one short block from the intersection of Washington Street and Columbus Avenue in Egleston Square. 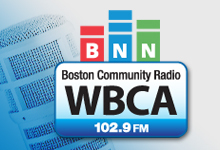 The Boston Neighborhood Network News Studio is located at the Boston University College of Communication, 2 blocks outside Kenmore Square away from downtown. You can reach us in many ways: drop by the Center, call or send us an email. We look forward to hearing from you! BNN is open for training, production, media lab use and events Monday through Saturday. See Operating Hours for specific times. BNN administrative offices are open Monday through Friday, 9 am to 5 pm. BNN will be closed on the following days: New Year's Day, January 1, 2 | Martin Luther King Day, January 19 | Washington's Birthday, February 16 | Patriots Day, April 20 | Memorial Day, May 25 | Independence Day, July 3 | Labor Day, September 7 | Columbus Day, October 12 | Veterans Day, November 11 | Thanksgiving, November 26, 27 | Christmas, December 25. 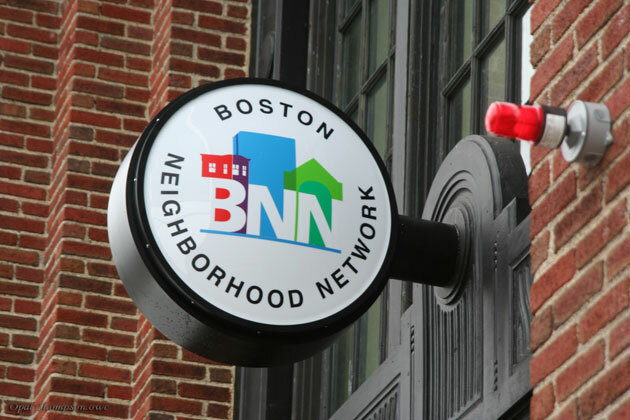 The Boston Neighborhood Network News studio is open Monday through Friday by appointment.